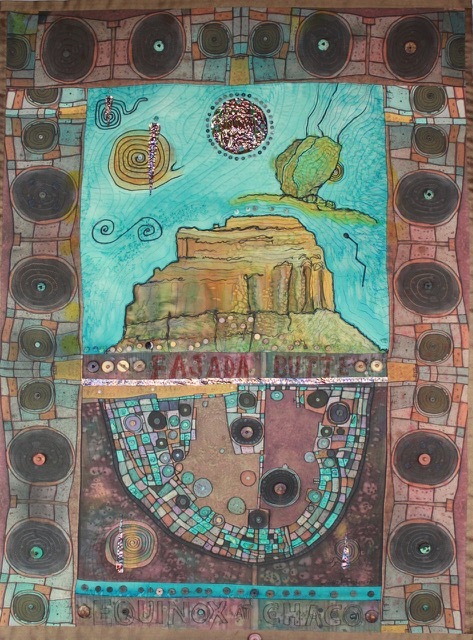 Judith Roderick deeply resonates with the ancient Puebloan cultures that used rock to create compelling, complex and elegant structures that we can still view today. Her series of art quilts explores these ancient archetypal patterns and their alignments with the Seasons, The Heavens and the Cosmos. View them during the month of March and come to a reception on March 9 from 1-4 pm at Wild Hearts Gallery.